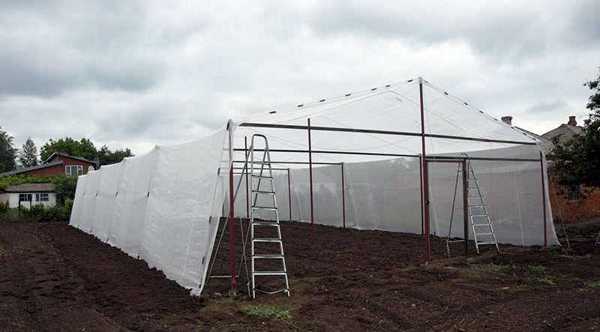 Technology for growing plants in a light construction greenhouse NetHouse. 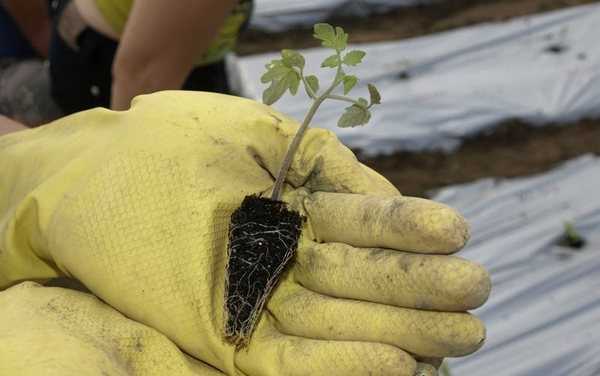 The main purpose of using a grid of houses NetHouse - it's growing high-quality, environmentally friendly vegetables, and precisely in the southern regions of Russia. Designed for use in the warm period. 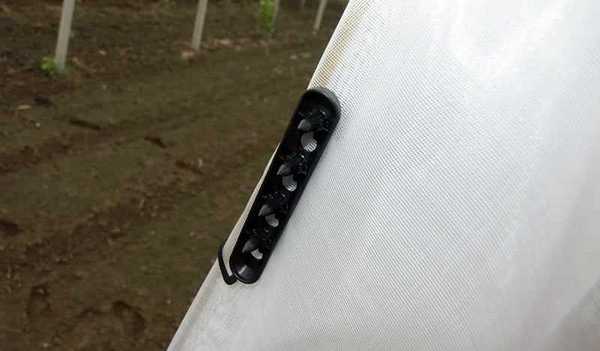 The main function - the protection against insect pests, including thrips and whitefly, respectively sharp reduction or elimination of the use of pesticides. 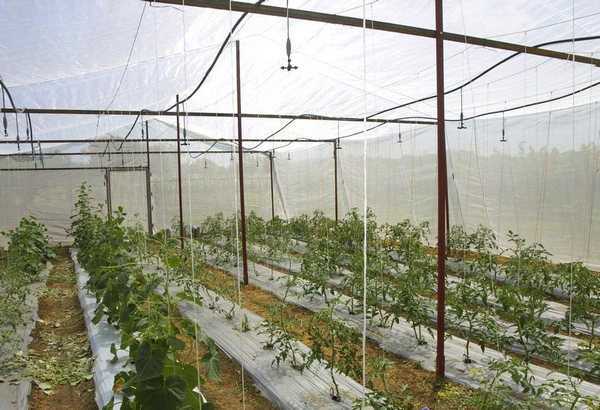 Mesh protects against hail, strong winds, from overheating and sunburn. 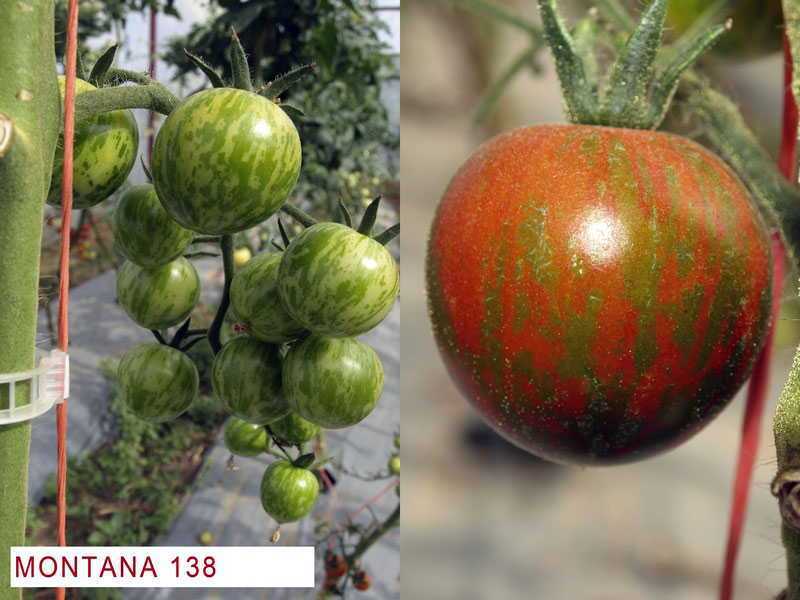 The design allows you to use when growing plants, greenhouse, respectively forming and greenhouse varieties such as tomatoes and cucumbers, which allows the same area several times to get higher yield. 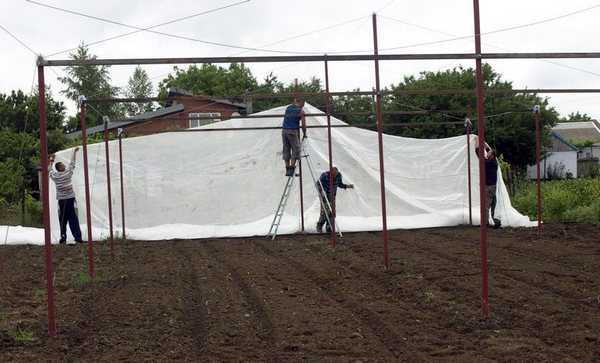 This year we have an experiment built a small NetHaus in Krasnodar. 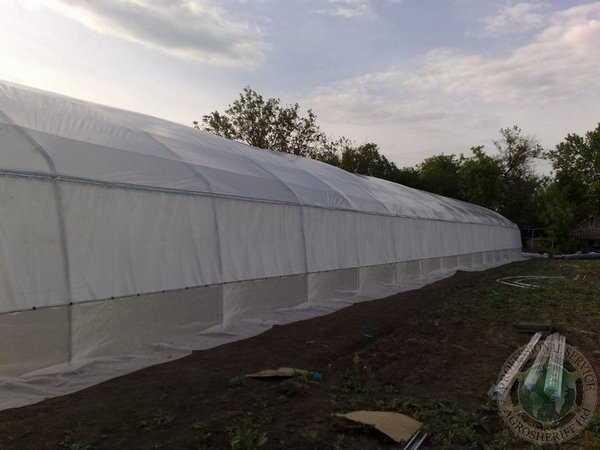 Unfortunately, construction finished only in June and vegetables, respectively, were planted too late, however, this structure proved to be a very good idea to continue to produce fruit and vegetables. Frame was made on the spot and was covered mesh Optinet. Защитная сетка с помощью бытовой машинки была сшита в виде чехла и полностью накрыла площадь 160 кв.м. 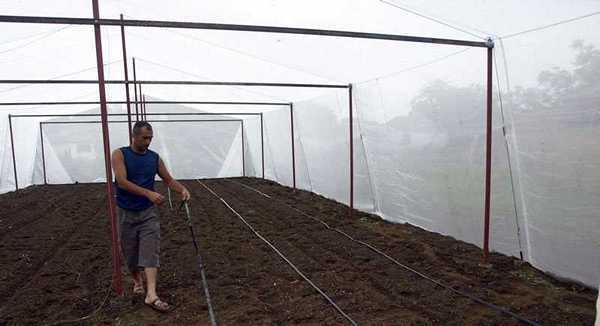 Было установлено капельное орошение и уложена спец. двухцветная мульчирующая пленка. Крепление сетки к тросам каркаса - спомощью специальных клипсов. Так же была смонтрована система спринклерного орошения с фоггерами туманообразователями. Рассада высаживалась кассетная. Выращена была так же самостоятельно в небольшом и несложном приспособлении - "рассадной этажерке". 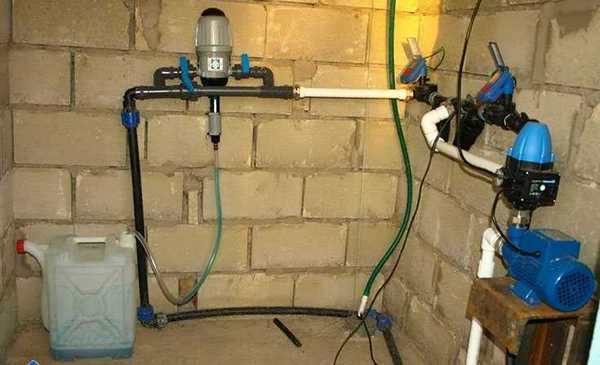 Водоснабжение - от скважины. Дополнительное оборудование - фильтры, 2 контроллера, для капельного и спринклерного орошения и блок фертигации для подачи удобрений с поливной водой. Растения прижились и пошли в рост. Томаты среднего размера, лежкие, транспортабельные. Крупноплодные томаты группы черри, длинная кисть, созревание постепенное от начала кисти к концу. 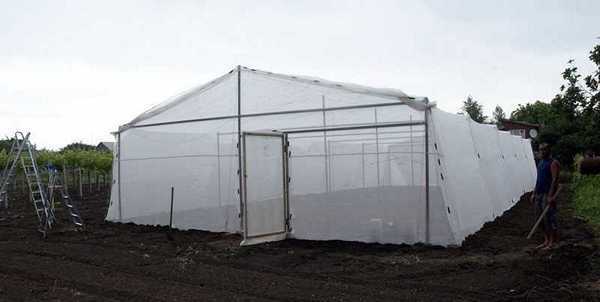 Очень крупный салатный сорт, плоды весом 300 и более грамм. Неплохие вкусовые качества, достаточно лежкие. Черри светло красной, пожалуй даже оранжевой окраски, хороший вкус. Сорт группы "Зебра". Очень насыщенный и интенсивный вкус. Салатный перец, толстая мясистая стенка. Это тоже салатный сладкий перец. Мясистая стенка, приятный вкус. 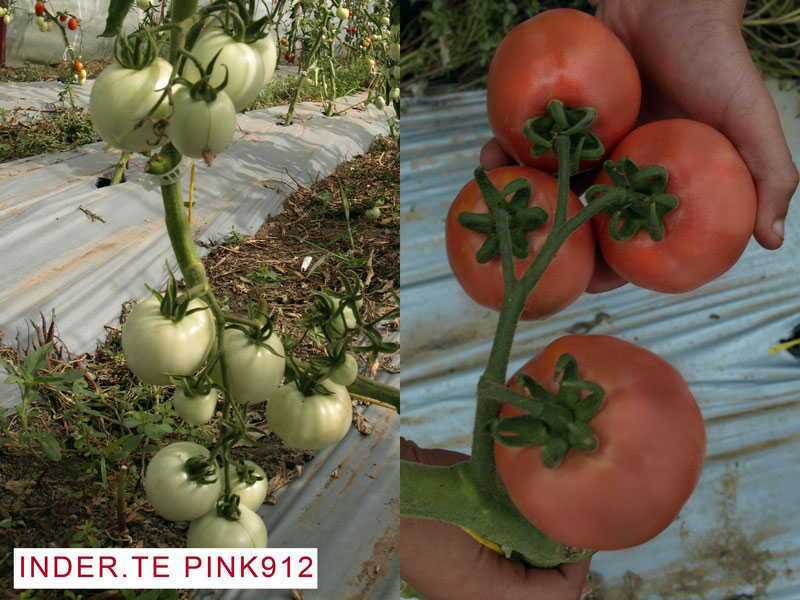 Pink tablespoons tomato, maturation, transportable. 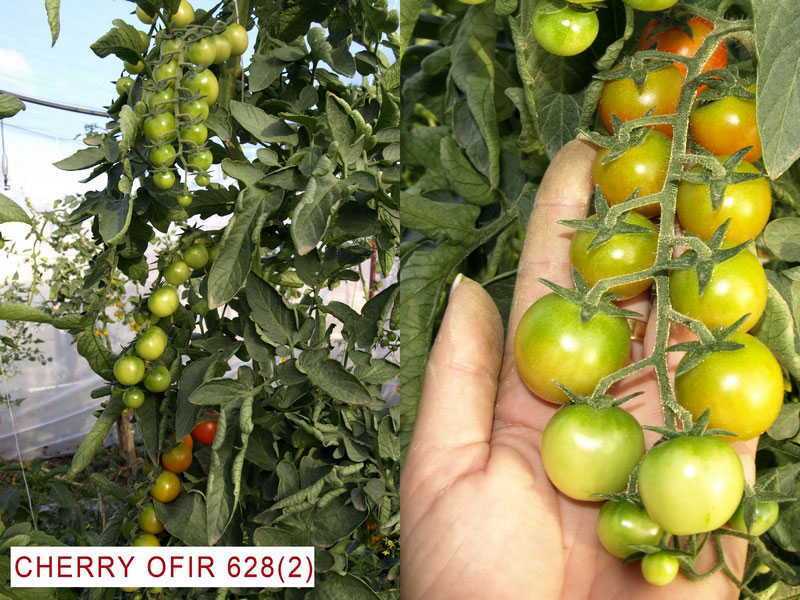 Gained great popularity among the Samara farmers as a high-value, well-implemented grade. 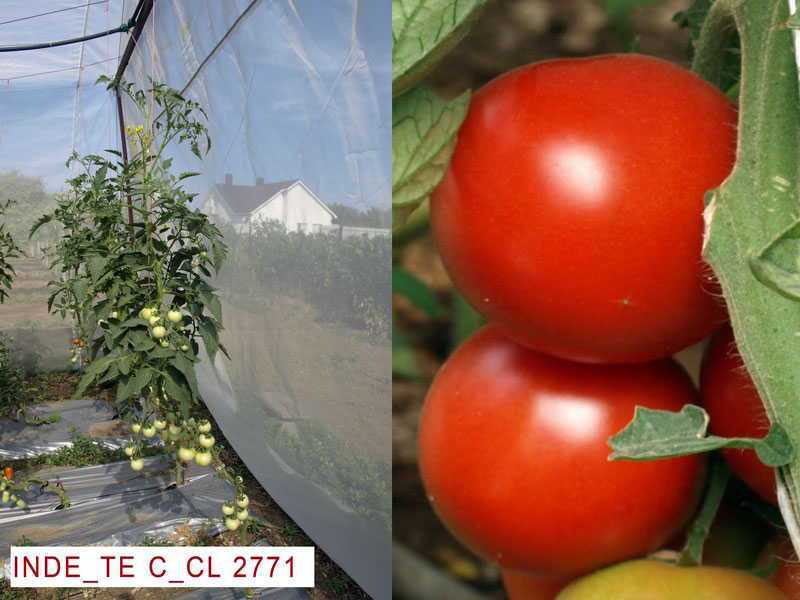 The tests were conducted in the greenhouse varieties "House of the grid" NetHouse in the garden of our representative in the Southern Federal District of Irina Kolmykova. Temryuk district, the Krasnodar Territory. 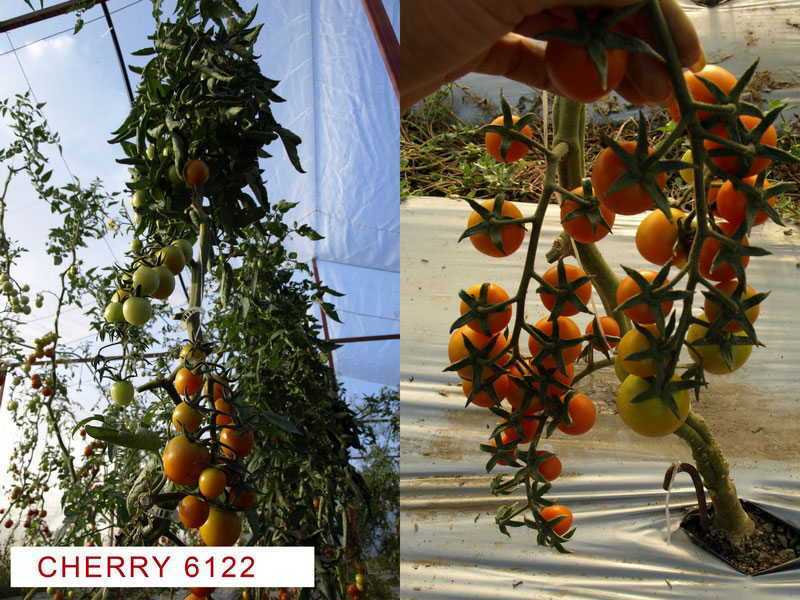 Despite the challenging weather and climatic conditions in 2012 and later transplanting into the house, managed to get a good harvest, cleaning, which continues to this day. 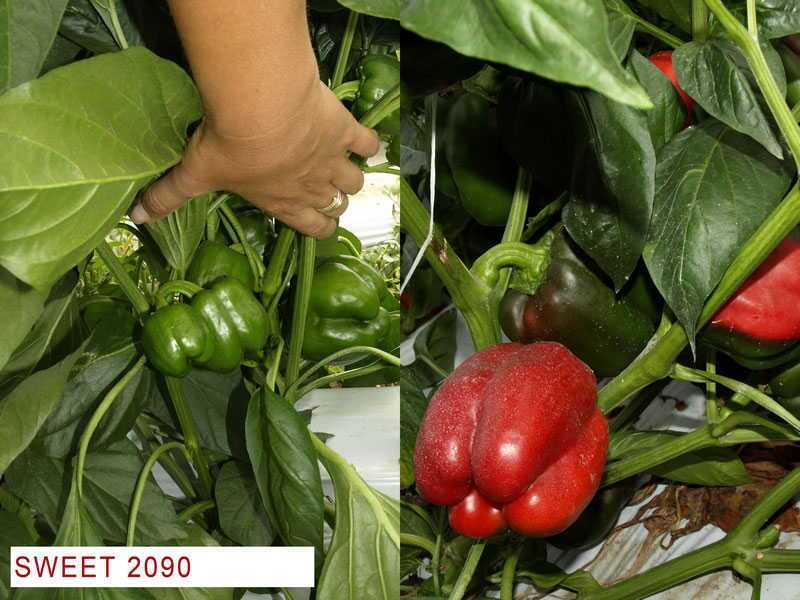 The main advantages of this project is to obtain high-quality products, environmentally friendly, because all summer vegetables have never sprayed any pesticides - pesticides. 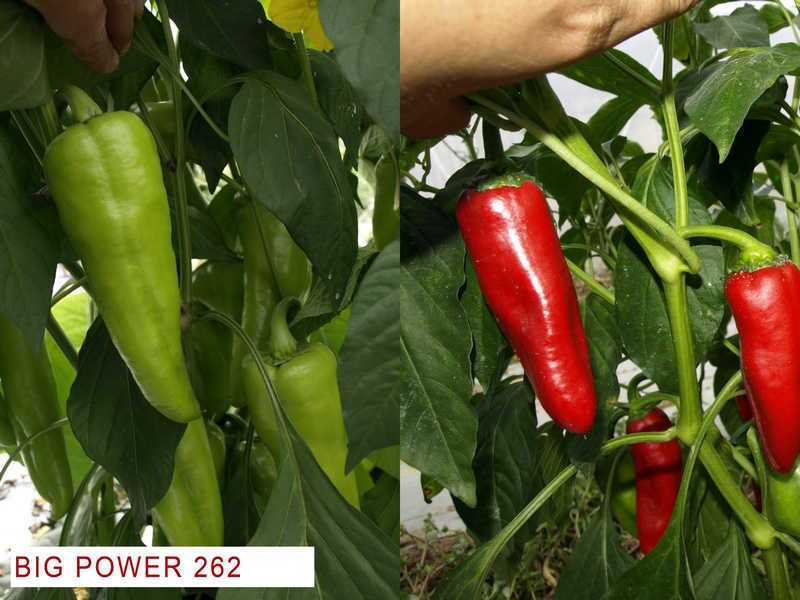 House from the grid has confirmed our expectations: the plants do not hit insect pests such as thrips, whiteflies, scoop and others. Therefore not required to poison pest poisons. House from the grid reliably protect the plants from strong winds and rains, which had a lot this summer, hail and sunburn. 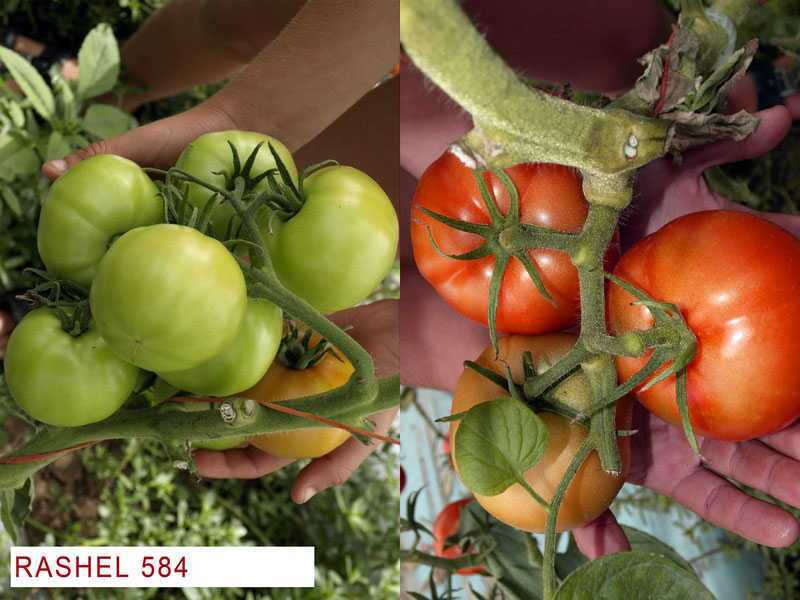 Mulch well worked against Phytophthora, retain moisture, reduced soil temperature. 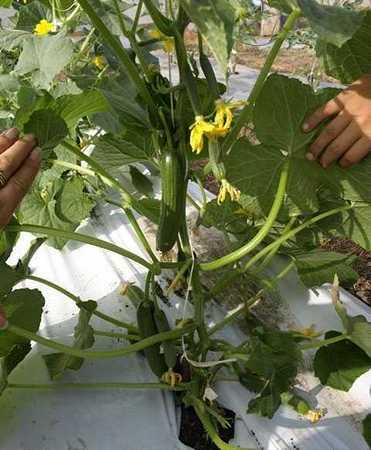 Construction of houses made of mesh has another advantage: it is possible to grow plants, such as those cucumbers and tomatoes with a vertical forming plants, which allows the use of more productive varieties and get a much higher yield per square meter than in the open field . Overall productivity increased by 5-6 times. I hope that this information about the first test of the Little House on the Russian space grid for you to be useful. If you are interested in house from the grid, please Contact us or Кrasnodar dilers office. This article was published on Monday 03 September, 2012.